Would you like to maximise your sporting abilities and achieve your potential performance? 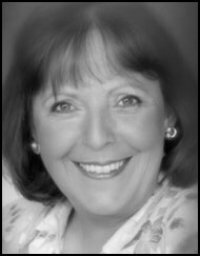 Christine Gould is an experienced therapist who has been promoting sports psychology in Northamptonshire for many years. Her passion to assist clients, ranging from the performing arts to top ranking athletes, gain optimum success is admirable. The dynamic techniques and effective strategies taught, are available for the rest of your lifetime to sustain and maintain peak states. The opportunity to learn Self Hypnosis in Northamptonshire is available, on a one-to-one or group basis, for personal empowerment. Christine Gould, MA, C.Hyp, MABCH, DABCH, MNFSH, is an extremely well qualified practitioner. With over two and a half decades in private practice, she has for the past twenty years worked within the National Health Service and been part of a multi-disciplined team at the Pain Relief Clinic, Northampton General Hospital. Christine also spends time with youngsters and their families attending the Children's Outpatients Department for various health issues. Regardless of whether you are suffering from depression in Northamptonshire; experiencing phobias in Northamptonshire; have relationship issues in Northamptonshire or want to overcome addictions in Northamptonshire, experienced Advanced Hypnotherapist, Christine Gould can help you. Her background in education, where she specialised working with youngsters experiencing learning difficulties and behavioural problems, assists her in helping many children overcome their troubles today.